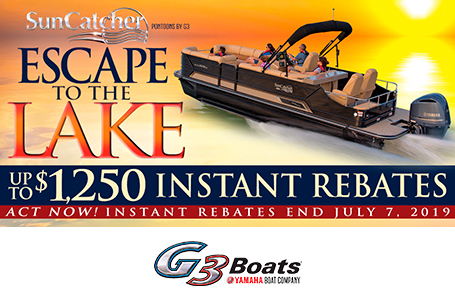 When daily concerns overwhelm your thoughts and the family is awash in all of the modern noise that seems to be everywhere…escape to the relaxation, and the rejuvenation provided by the SunCatcher V324 SE pontoon. 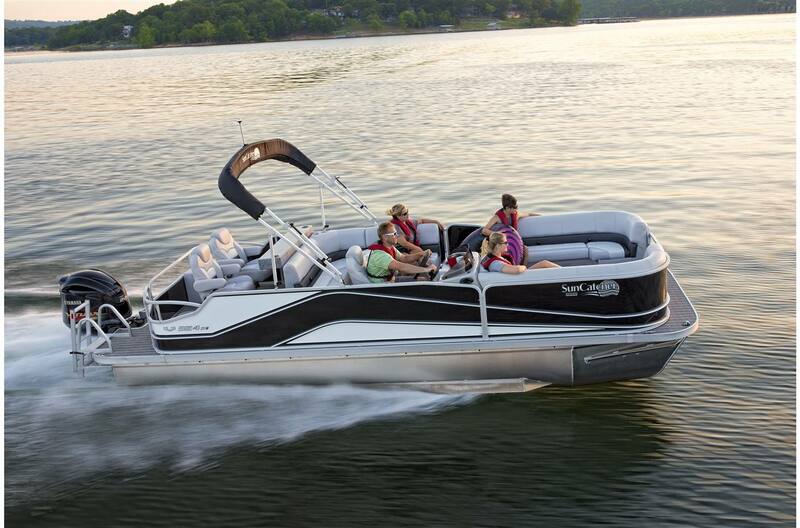 When you need to satisfy everyone, and everyone in the family wants in on the fun, look no further than the SunCatcher V324 SE. 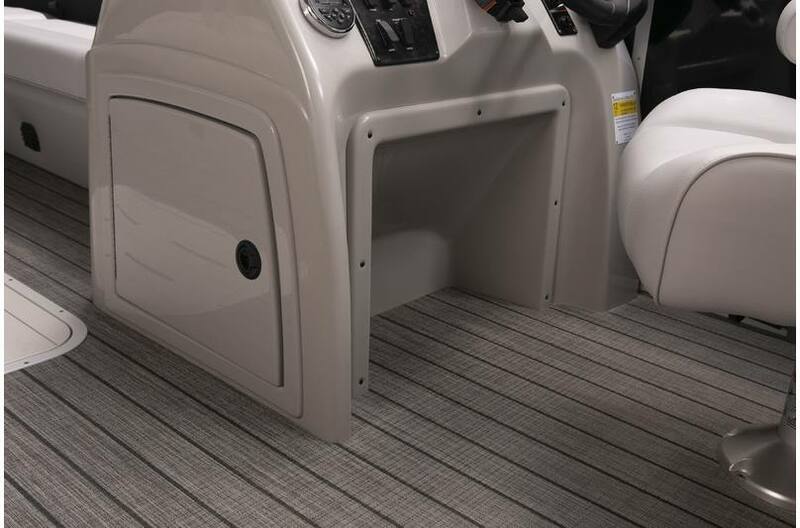 Stylish console has reinforced kick panel and plenty of legroom. 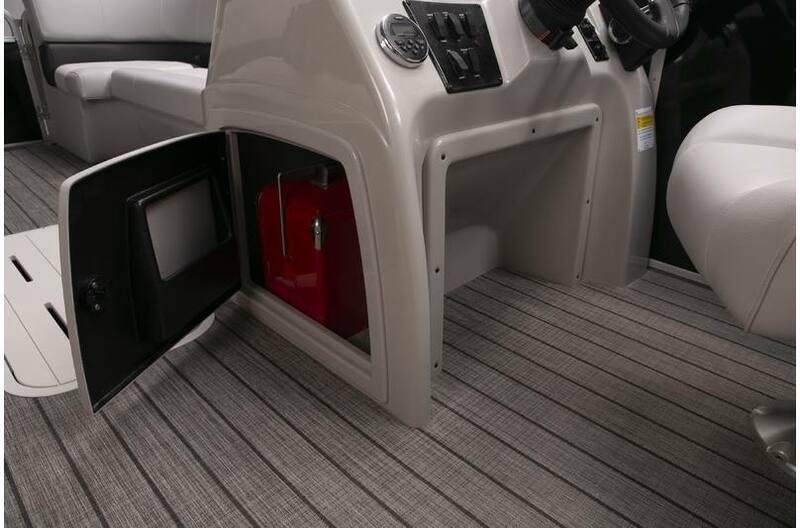 Extra storage under the console provides a convenient location for cooler or large gear bag. 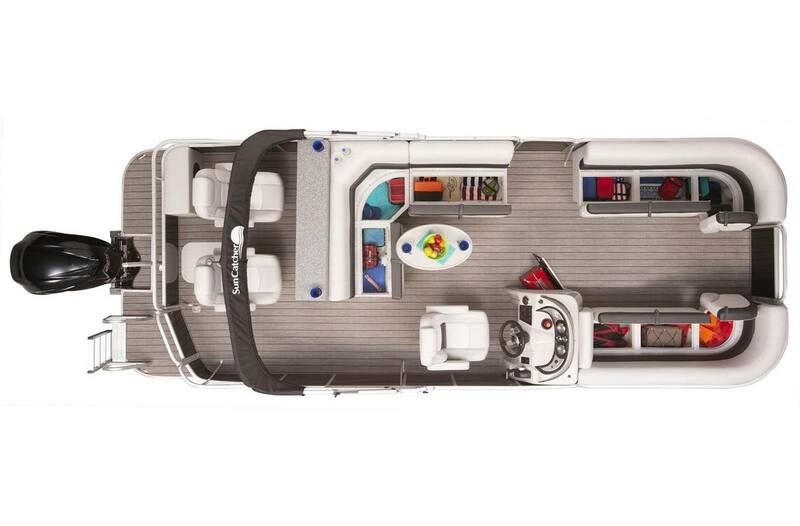 The helm area is a true “command central" for the Captain of the craft. 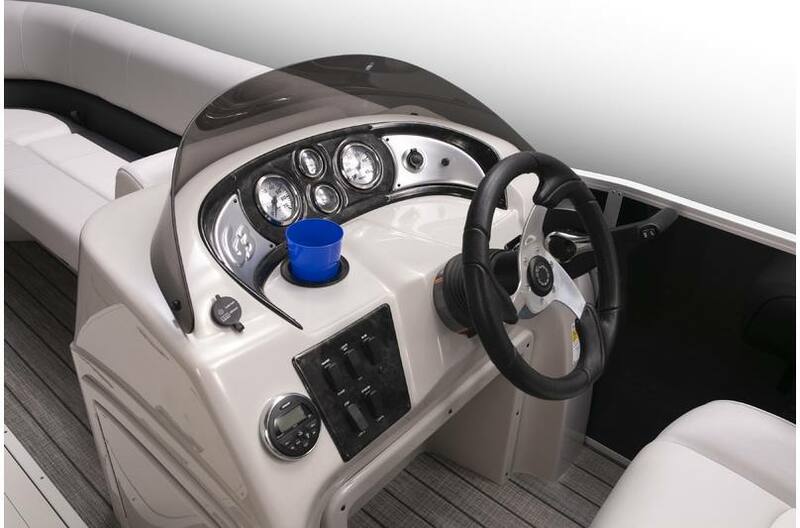 Quality Faria® gauges are set into a molded dash and Jensen® stereo controls with audio inputs are close at hand. 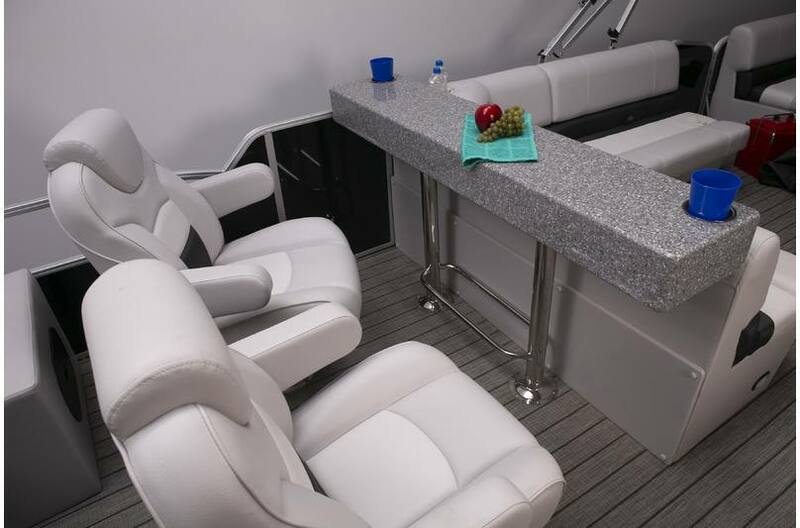 The SE means “stern entertainment" and this pontoon provides a matched pair of high back captain's chairs, along with an extended counter top to facilitate service for everyone aboard your evening cruise. 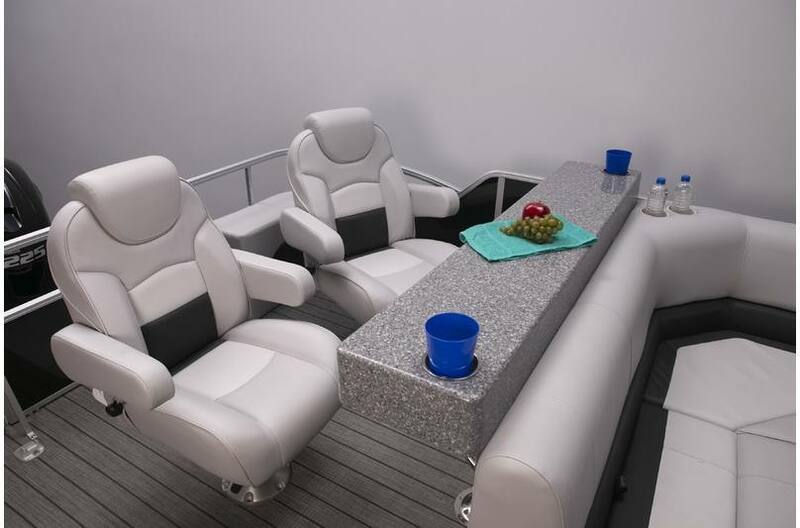 Each chair reclines and swivels for total comfort. Package Length: 32 ft. 4 in. Dry Hull Weight: 2280 lb.